Voters made many decisions on Election Day. Governors were chosen and new laws were adopted. But one choice Arizona voters didn’t get to make may raise utility costs for families and businesses in the state. On November 4th, while Arizona voters were focused on exit polls and election results, the Arizona Corporation Commission (ACC) staff quietly released a proposal for new energy efficiency rules that would eliminate the state’s ambitious electricity and natural gas savings standards. The proposed rules would be a major step backward for the state. 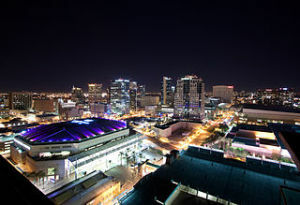 In recent years, Arizona has staked a place as an energy efficiency leader in the Southwest. The state saved more energy than any other state in the region in 2013. In fact, the nearly 1.75 percent electricity savings Arizona achieved was fourth highest in the country. Arizona has reached these high levels of savings for utility customers as a direct result of its energy efficiency standards, which were established in 2010 by a unanimous and bipartisan ACC decision. Since then, Arizona has climbed from the 29th to the 15th most energy efficient state in the country, with electricity savings more than doubling. Doing away with these energy savings requirements would be costly to utility customers in the state. According to the Southwest Energy Efficiency Project (SWEEP), the standards have saved Arizona consumers and businesses more than $540 million in just three years. These programs, through measures like lighting and equipment upgrades, help homeowners improve the efficiency of their homes and businesses cut waste. Without these strong standards to guide the utilities, investments in efficiency would likely drop significantly, leaving customers with higher energy bills and fewer resources available to help them become more efficient. It’s also important to note that utilities have been spending wisely on efficiency. The current rules require utilities to invest only in efficiency that is cost effective. That means that every dollar that goes into efficiency programs must save customers far more. In fact, energy efficiency programs are the least-cost option available to utilities to meet demand. So why roll back the efficiency rules now? Even former commissioners can’t quite see the logic. In a recent article in AZ Central, former ACC chairwoman Kris Mayes called the proposal “crazy.” Mayes went on to say that “nothing in the record suggests the standard is not working.” Others share Mayes’ indignation. Efficiency advocates worked hard this week to make sure that Arizonans recognize the importance of the state’s energy efficiency targets. Just two days after the ACC issued its proposal, a group of advocates filed comments pointing to analysis by the Lawrence Berkeley National Laboratory that found that the efficiency standard would produce $9 billion in bill savings for Arizona customers by 2030. Things are moving quickly in Arizona. Comments on the ACC staff proposal are due November 18th. For those interested in commenting on the issue, SWEEP has additional information, including directions for commenting, posted on their website. Arizonans have a choice. They can move backwards, using more energy and paying higher bills, or they can move forward with incentives that encourage everyone in the state to use energy smarter. 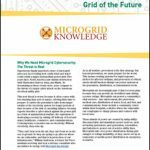 Utilities can continue to partner with their customers to help them take control of how and when they use energy or, pushed backwards by the proposal, they can take on the one-dimensional role of bill collectors. There’s plenty of proof that Arizona’s efficiency goals are working well for customers in the state. The ACC proposal is a step-no, a giant leap-in the wrong direction. Annie Gilleo is state policy research analyst for the American Council for an Energy-Efficient Economy (ACEEE), which acts as a catalyst to advance energy efficiency policies, programs, technologies, investments, and behaviors.